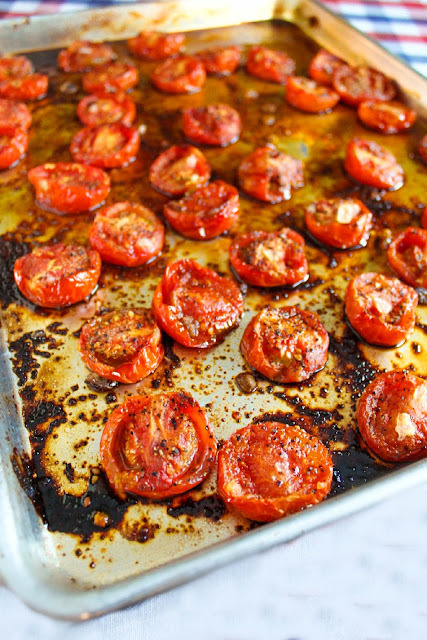 Roasted Little Tomatoes, place little tomatoes on a rimmed baking sheet, lightly drizzle with avocado oil and give a generous sprinkle of coarse salt and pepper, cooked in the oven until caramelized. Simply delicious! As soon as the holidays were over and I started back on the healthy eating plan I have been on since 2017, I knew I wanted some of these Roasted Little Tomatoes on my menu rotation. 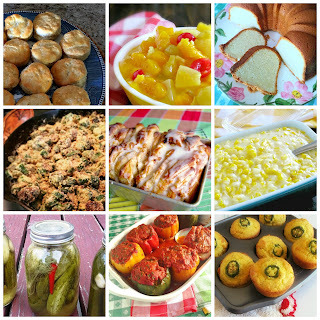 They are super easy to make and a bonus, they are super delicious too! haha! 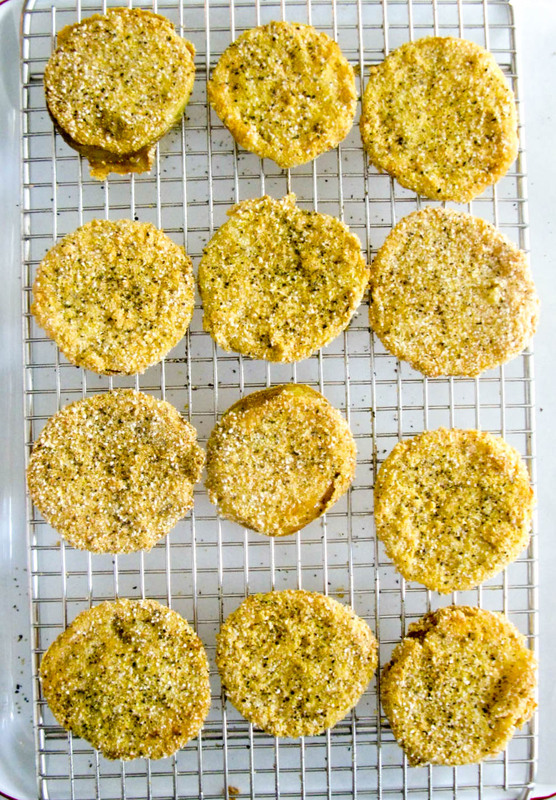 I like to roast these up and keep them in the refrigerator for a healthy snack, flavorful salad, in addition to a tasty hamburger and a topping over mini meatloaves. I have found the ideas for the lovely jewels are endless. The Mini Meatloaves will be my next post. Don't forget to scrape all the lovely pan juices from the lovely jewels either. The flavors are marvelous. 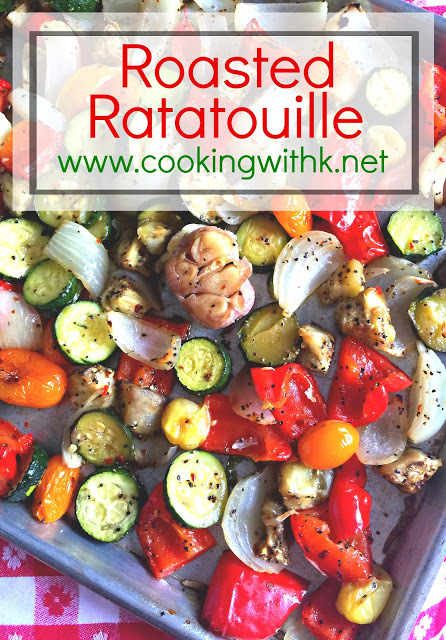 While the Roasted Little Tomatoes are perfectly delicious by themselves, I like to add the additional herbs, seasonings, and oils after they are roasted. 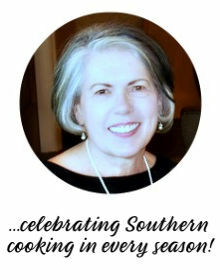 This way I can follow my eating plan, and others can enjoy them as desired. The quick and high roast method yields a roasted tomato that is not quite the flavor concentrate as the slow and low roasting method. The flavor is mild and not very sweet in taste. I find you have to add a little sugar to get the right balance of flavor and texture, you are looking for a more caramelized texture. A quick and high roast oven temperature is 450 or higher for 20 minutes. The time will vary according to the size and ripeness of the tomatoes. The slow and low roast method has more depth of flavor. Not only are the tomatoes intense in flavor but the pan juices are even more concentrated in flavor. All the flavor is natural with no sugar added to the tomatoes. 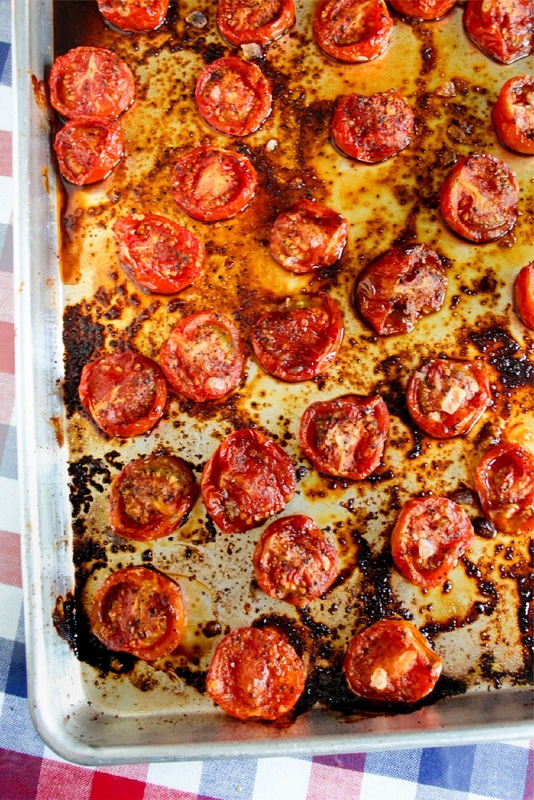 This will yield the most succulent roasted tomatoes you will ever put in your mouth. A slow and low roast oven temperature is 400 degrees for 45-60 minutes. 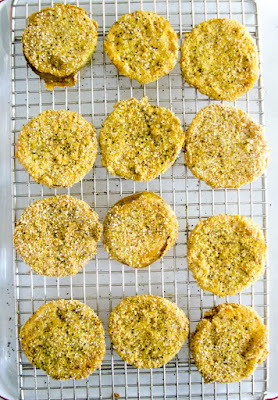 Preheat oven to 400 degrees F. Line a rimmed baking sheet with parchment paper. Spritz with avocado oil; set aside. Wash and slice tomatoes in half lengthwise. If you are using the cherry or cocktail tomatoes, it is not necessary to slice in half. 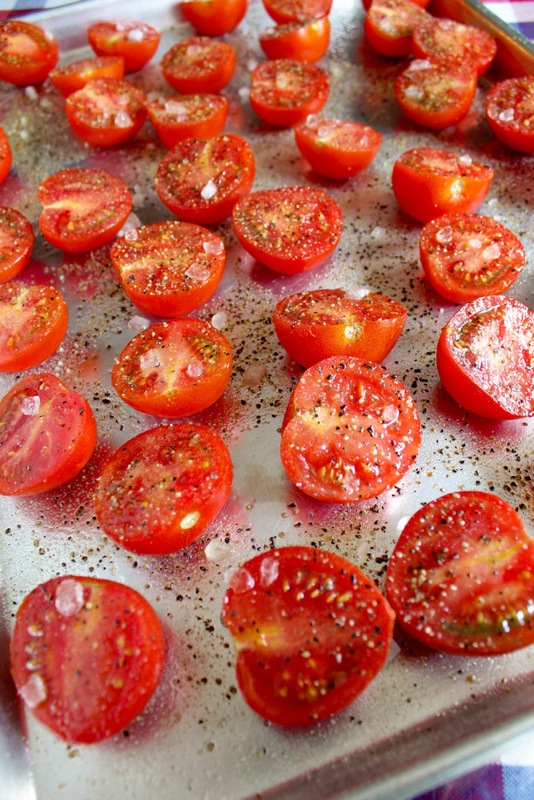 Arrange tomato halves cut side up on the prepared baking sheet. Sprinkle with rock salt and coarse black pepper. For the slow and low method roast, the tomatoes for 40-60 minutes or until the tomato begins to caramelize and the juices begin to thicken. Remove from the oven and let the roasted tomatoes cool in the pan before transferring them to a serving dish or bowl. I love the slow and low method of roasting tomatoes, but sometimes there are times I need a quick and easy no fuss roasted tomatoes. The big return is I can have them ready in no time and finish the meal I had planned for at the last minute. It takes less than an hour. 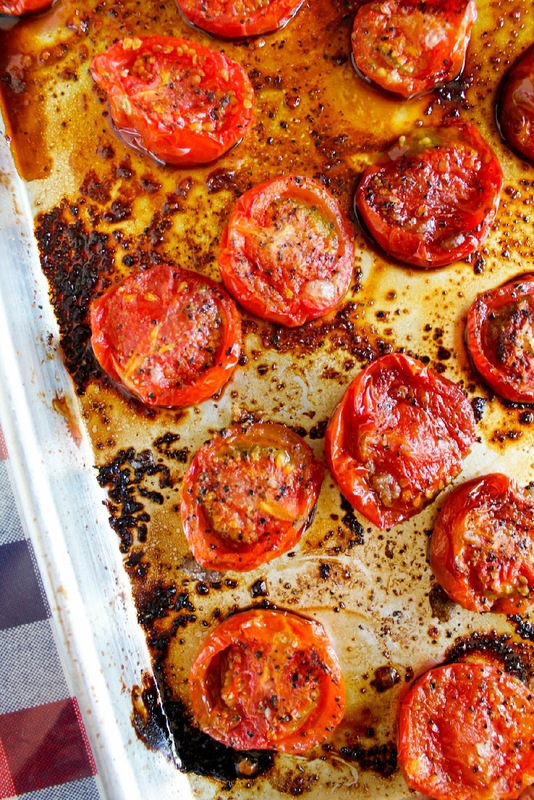 We love these Roasted Little Tomatoes with either method. 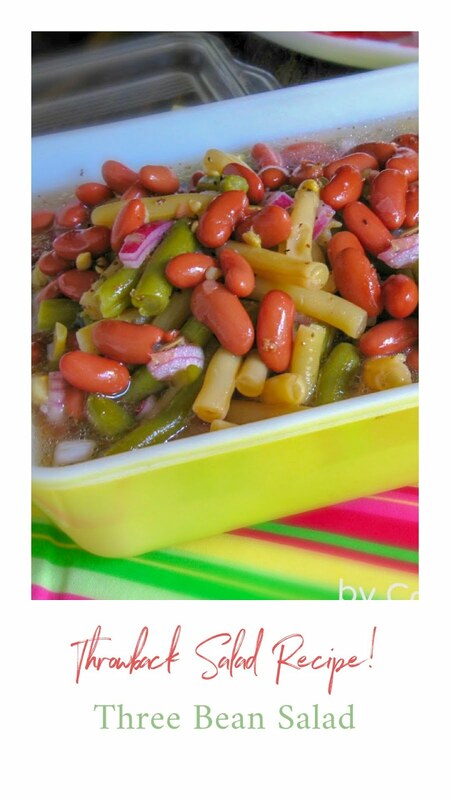 I hope you will get to make some soon.